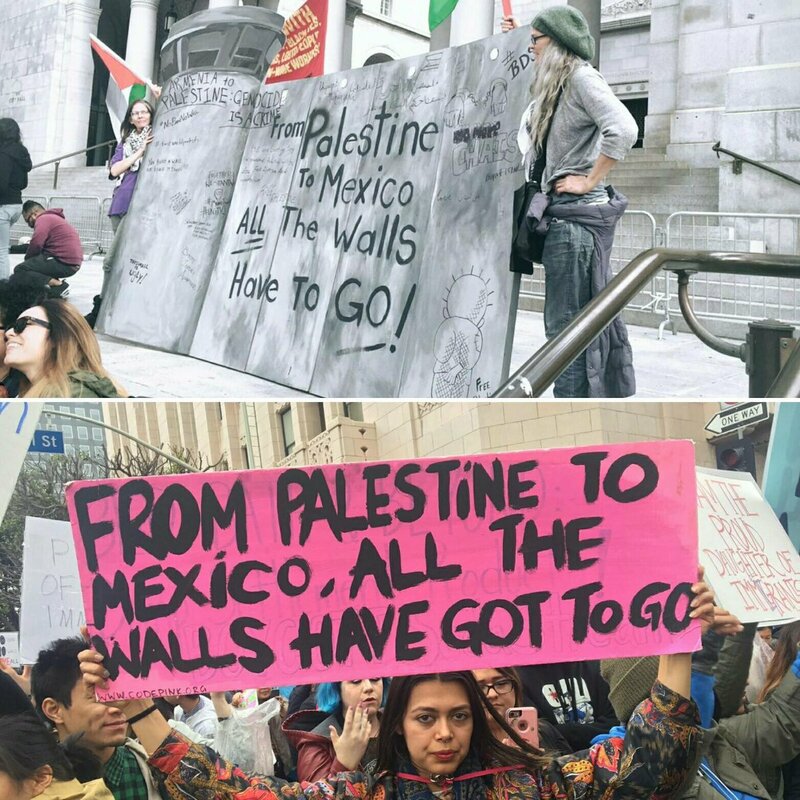 September 28, 2017 – The Palestinian BDS National Committee (BNC), the largest coalition in Palestinian civil society that leads the global BDS movement, strongly condemns the U.S. Department of Homeland Security (DHS) decision to award millions of dollars in contracts to fulfill President Donald Trump’s ominous promise to expand the wall at the Mexico/U.S. border. The expanding far-right alliance between the Trump and Netanyahu administrations is leading to disturbing exchanges, including Netanyahu’s infamous January 28, 2017 tweet supporting the expansion of the Mexico/U.S. border wall. Netanyahu tweeted, “President Trump is right. I built a wall along Israel's southern border. It stopped all illegal immigration. Great success. Great idea.” This is only one example of how Israel (with support from the United States) has been central to promoting this new global era of walls. From India, to Saudi Arabia, Turkey, Western Sahara and Europe, the number of walls designed to forcibly define and seal borders has nearly tripled over the last 20 years.